While it may not feel like it all the time, we are right in the middle of summer here in England. Yes, we have those gloomy grey days that we're so famous for, but we also get the odd burst of sunshine and warmth, which I think we should make the most of! 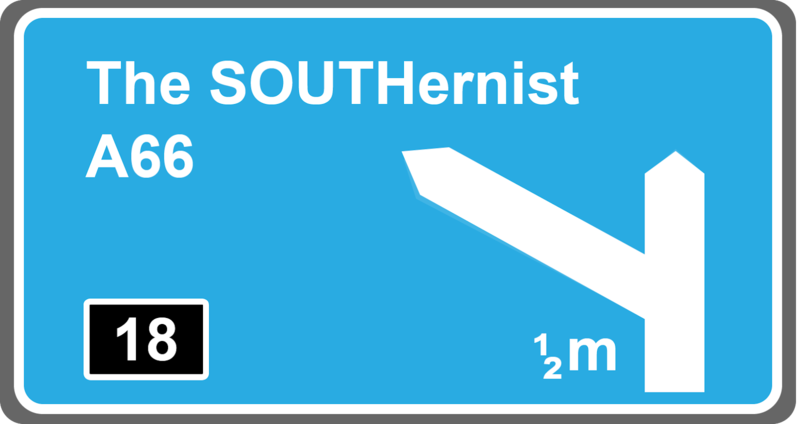 If you're lucky enough to live near the sea, maybe you head there on sunny days to catch some rays with a newspaper cone of chips in your hand, or maybe you prefer a scenic stroll through your local park, followed by a picnic. 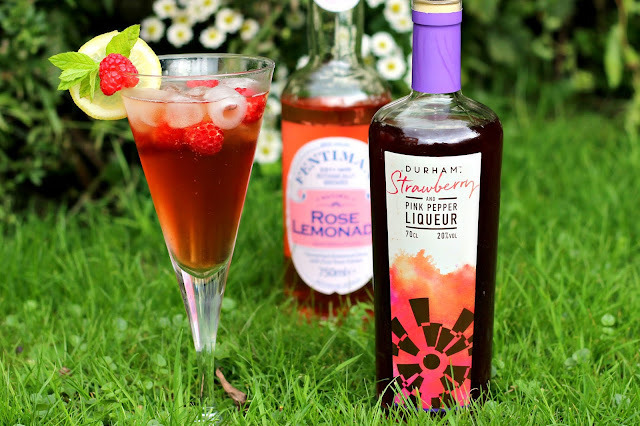 For me, sometimes all I need is the garden and a delicious homemade cocktail, which is where Durham Distillery's Strawberry and Pink Pepper Liqueur* comes in! Now, I feel like I have a few things to clarify before I jump right into this post. I have expressed, both online and in person, that I don't drink, and this is very much true when it comes to anywhere outside the places that I feel comfortable. I will always opt for a soft drink in pubs or restaurants, but in my home or friends homes, I may have the odd alcoholic drink. Believe me when I say 'the odd' drink - I won't have so many that I can't remember anything the next day, but maybe just a small glass of wine or one of these delicious cocktails. It's not that I'm opposed to people drinking alcohol in public in any way, I just prefer not to! So now that's all out of the way, let me tell you a bit more about this beautiful liqueur and the distillery it is made in. 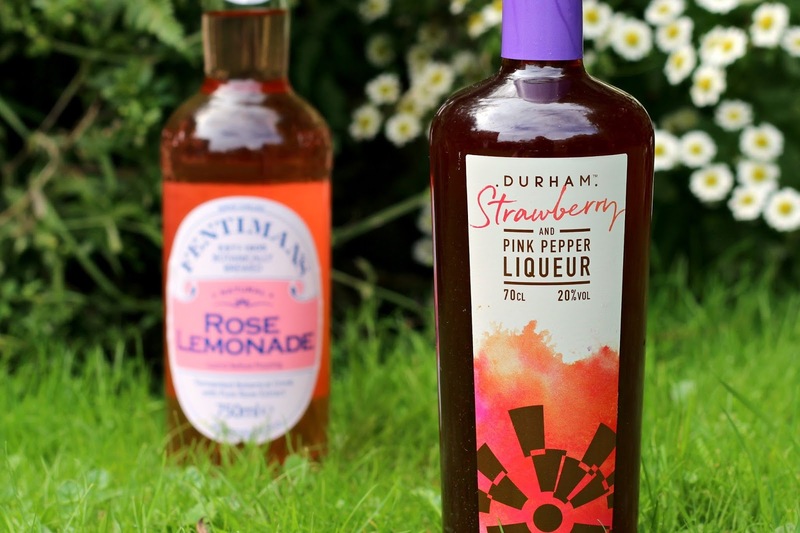 Durham is such a beautiful city that is filled with many hidden gems and one of them is Durham Distillery. 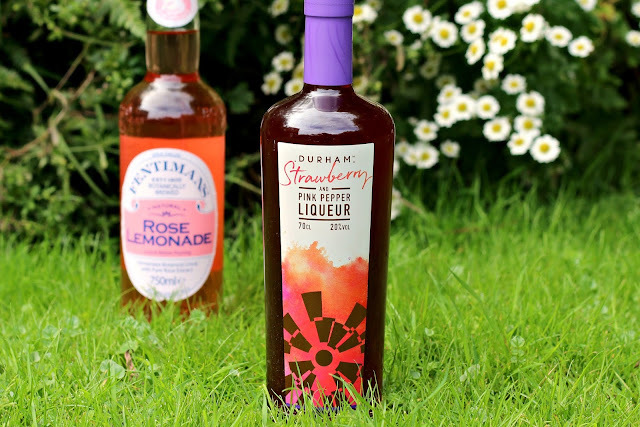 Based on the outskirts of the city, this small-batch craft distillery uses traditional methods to produce its liqueurs, which are centred around their trusty 400 litre copper still, called Lily. It's obvious that the people in the distillery have a true passion for their work, as each batch produces only a few hundred bottles at a time, so you can be sure that the taste and quality of each drink is more than up to scratch, thanks to the meticulous lengths that Jess, the head distiller, and the rest of the team go to! Not only that, but each bottle is filled and labelled by hand - does it get much better than that? I can tell you now, it really does, because in amongst the vodka and gin that they produce, they also make a sweet and fruity liqueur that is perfect for summer cocktails. 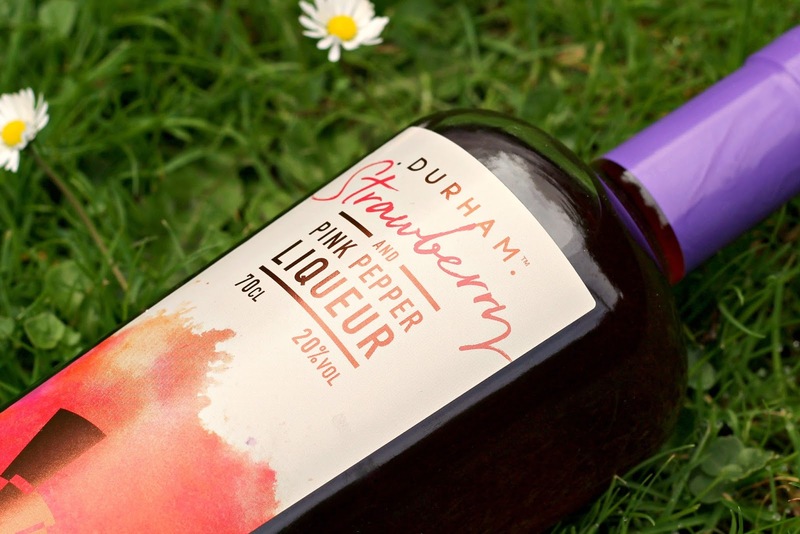 The Strawberry and Pink Pepper Liqueur* features a base of the distillery's signature Durham Gin that has been combined with delicate, fresh pressed strawberry juice. To top it all off, it is also infused with pink pepper for just a smidge of heat, which results in a delicious, flavoursome liqueur with a long, warm finish. All of this is packed into a 70cl bottle for only £20! If you consider how much work has gone into producing the drink and how mouthwateringly good it is, that price is extremely reasonable. With a tonic, the flavour of this liqueur absolutely shines, but let me tell you about my preferred way of drinking it. The distillery have a whole host of cocktail ideas on their site for you to enjoy and pull inspiration from, like the Strawberry & Pink Pepper Fizz, which features a splash of Prosecco, or the Durham sidecar, a North East take on the classic brandy cocktail. The one that takes my fancy the most, though, is the Summer Rose and here is how to make it! 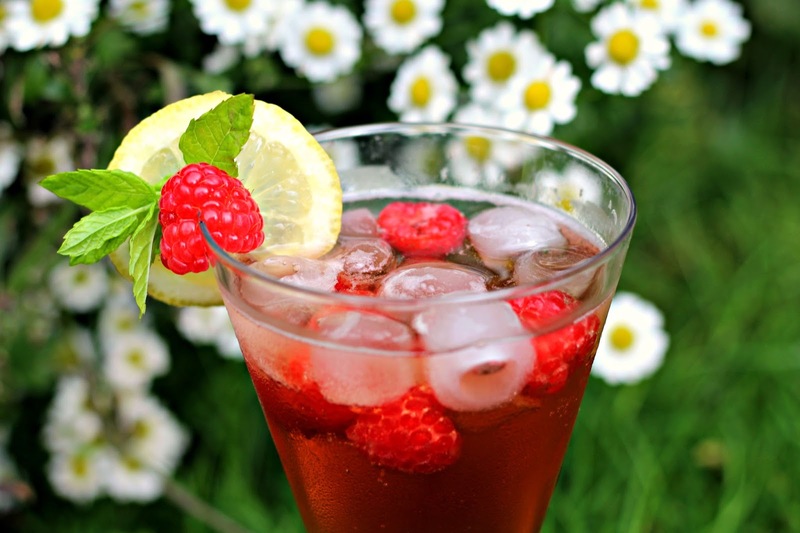 You simply pour your liqueur into a large glass with ice, then add a splash of the rose lemonade. Garnish it to your liking with slices of strawberry and fresh raspberries (or any other bits and bobs you may like), and that's it! You're left with a deep pink-red, delicately floral cocktail with a little fruity punch. As you can see, I also added a sprig of fresh mint and a lemon slice, just for a little added flair and to make me feel like I'm abroad, but that's totally optional. Even without the flamboyant decorations, there's no mistaking that rose flavour from the lemonade combining with the sweet strawberry juice to create all the fun of a summer's day in a glass. But beware, this cocktail is so scrumptious and tastes so pop-like that it's hard not to drink it all in one go! After trying this cocktail out for myself, I knew that my mum had to have a taste. 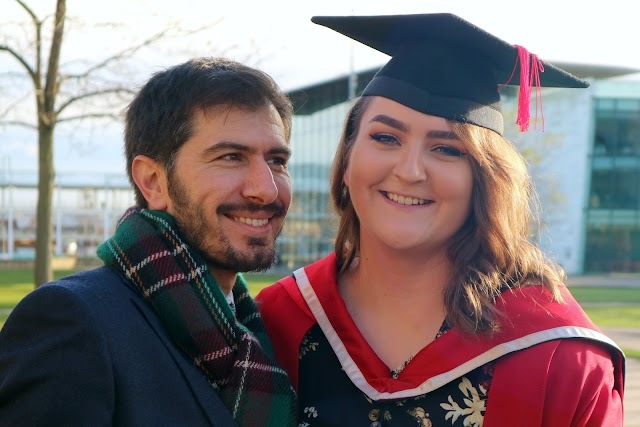 She's such a gin lover and actually makes her own, so I knew that she'd appreciate the taste of Durham Distillery's and the work that went into making it. Little did I know that I'd become the mixologist for the afternoon! It just goes to show that this liqueur will appeal to people of all ages, despite it's more fruity flavour in comparison to the distillery's signature gin and vodka. Thank you to Durham Distillery for sending this bottle of loveliness to me. I can see the Strawberry and Pink Pepper Liqueur* becoming a bit of a staple in our house - J has become quite partial to a double shot mixed with regular lemonade and ice, even when it doesn't feel too much like summer outside. I'm hoping that the distillery will bring out more exciting flavours like this in the future (I've got my fingers crossed for something with elderflower), so I'm going to be watching their Facebook and Instagram like a hawk!